There are many reasons to add a fire pit to your backyard. They are attractive, functional, and they are the perfect gathering spot for friends and family. An outdoor fire pit or fireplace can even add significantly to your home’s resale value, as outdoor living spaces are highly desirable features to today’s house buyers. 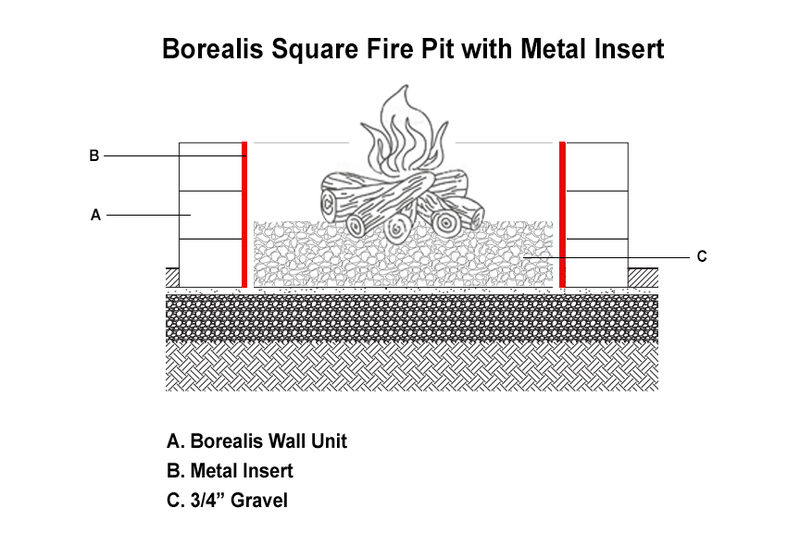 There are many prepackaged fire pits on the market but in this fire pit series we will show you how to make an easy fire pit using Techo Bloc’s Borealis Wall Units. 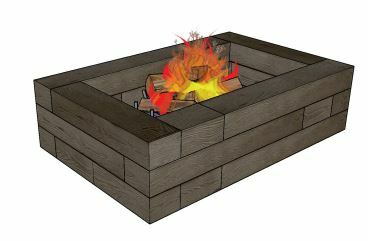 This fire pit will stand out from all the rest and keep your guests wondering if it is made out of concrete or wood. What is Techo Bloc’s Borealis Wall Unit? 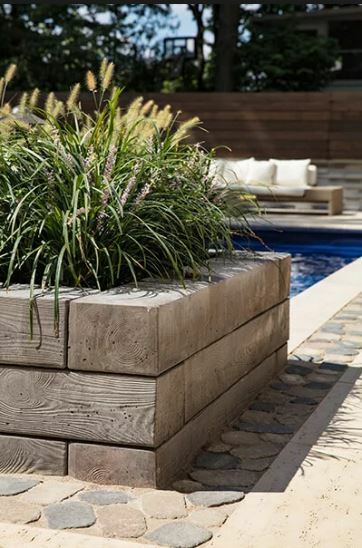 Borealis is a concrete stone product made by leading paver manufacturer, Techo Bloc. Borealis has a detailed wood-like finish that beautifully replicates the look of wood planks and railroad ties. 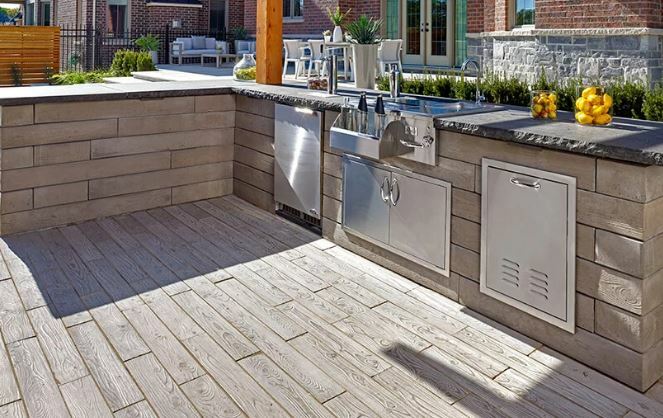 Borealis pavers, edging, and wall units are the best choice for capturing the aesthetics of wood with the practicality and durability of concrete. And it comes in four attractive wood tone colors to match any surround. 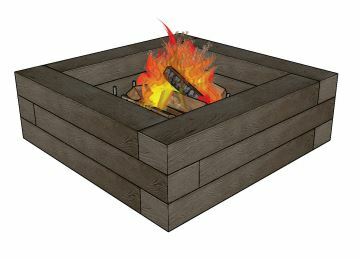 Making a Borealis fire pit is simple and it does not require a lot of time or material. 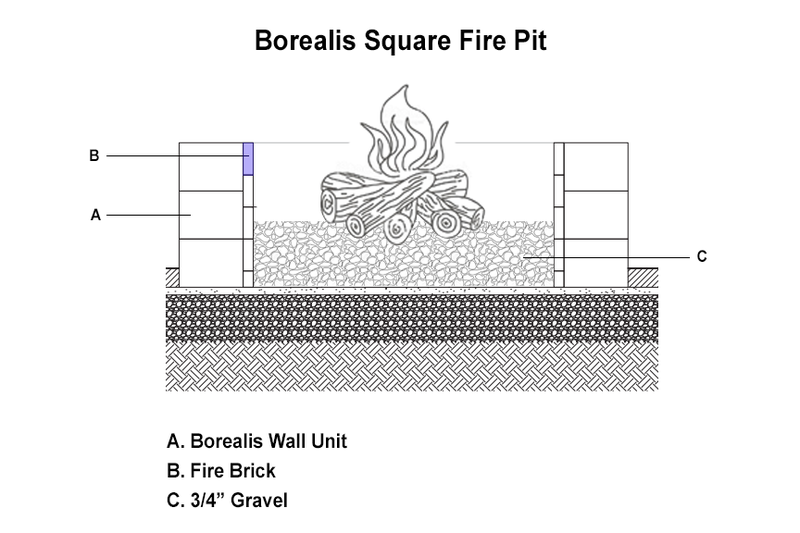 You can make a square or rectangular fire pit with just one pallet of Borealis wall blocks! First, you will need to consider the location of the fire pit. Be sure to check with your local town’s ordinances and HOA rules to make sure you are complying with all regulations. 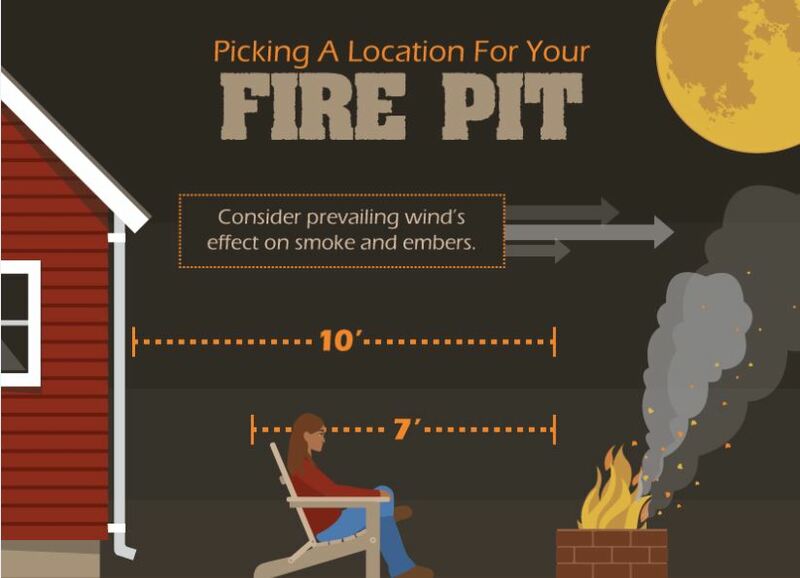 Tip: It is also a rule of thumb to place the fire pit on a flat surface that is at least 10 feet away from the nearest structure or trees to avoid any fires. Another thing to consider is prevailing wind direction. Knowing this will allow you to select a spot that will keep smoke and embers from blowing in your face to a minimum. 12 pieces of Borealis Wall (16 pieces come on one pallet). To start the first course place one Borealis slab down on the 48” long side to begin making the perimeter of the fire pit. Place another Borealis slab above the first slab so that it is running perpendicular to the first piece. The 48” length of the Borealis unit plus the 8” depth of the second Borealis unit added together will be the fire pit’s 4’8” length. 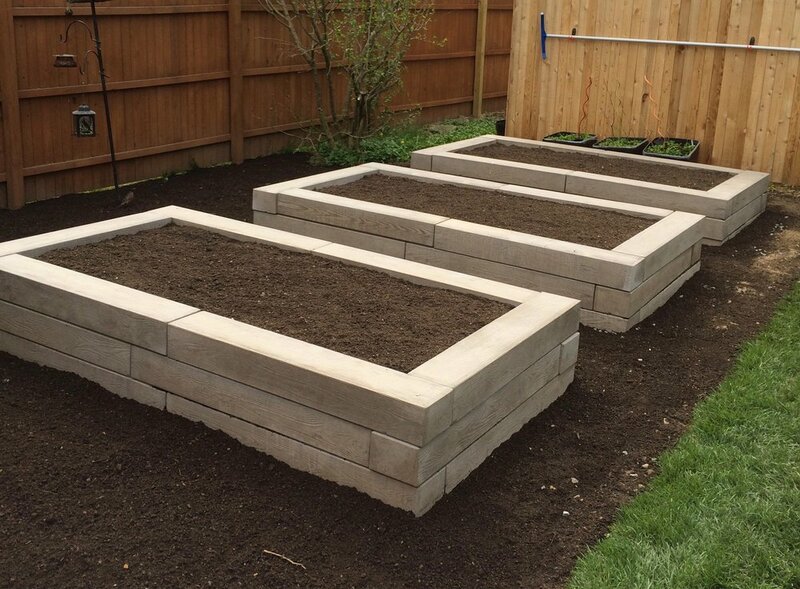 Place another two slabs on the opposite side to complete the square and finish the first course. For the second row repeat the process but stagger the Borealis slabs, as shown in the side view diagram. Use concrete adhesive to secure the slabs in place. Repeat the process for the third course. Again glue down the course with adhesive to secure in place. Next you will want to line the inside of the fire pit with refractory brick, otherwise known as fire brick. These bricks are made to within stand temperatures as high as 2700 degrees so they will act as a protective barrier between the Borealis and the fire. You can mortar the fire brick together will high heat refractory mortar. Once you have lined the fire pit with fire brick, fill the center about 6” high with ¾” crushed stone. The ¾” crushed stone will allow for drainage and protect the ground from the fire. And you’re done! 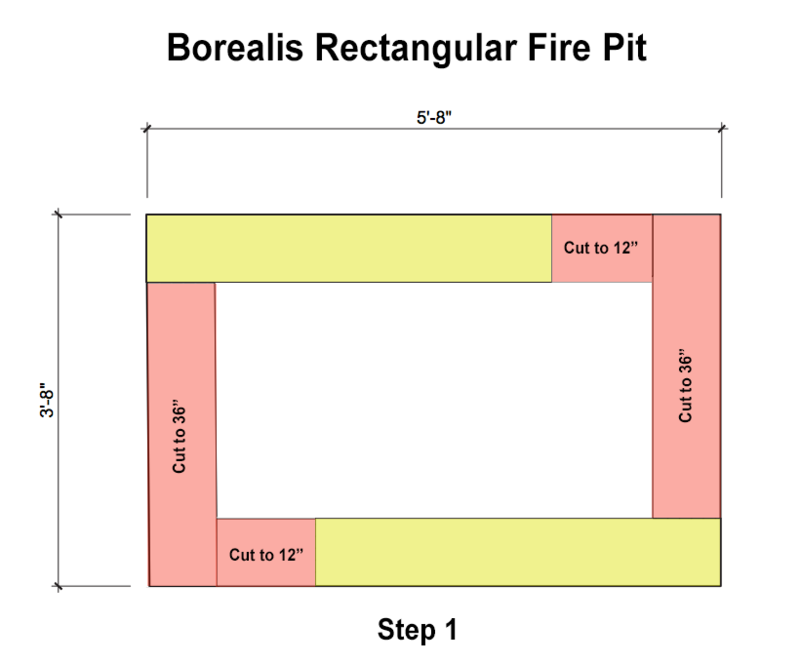 It’s that easy to make a Borealis Fire Pit and you can add significant value to your home! 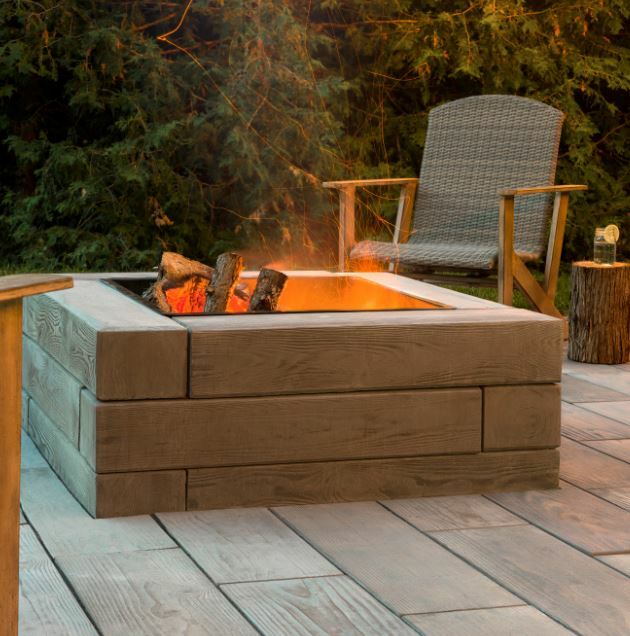 If you wish to use Techo Bloc’s heat resistant sleeve for the lining of your Borealis Fire Pit rather than the fire brick then you will have to make minor adjustments to the fire pit. The fire pit will need to be made smaller to accommodate the sleeve which measures 28” x 28” x 18”. To do this the outer perimeter of the Borealis will need to measure 44” long. Cut the Borealis slabs down to 36” to accommodate this size. Stagger and secure the next two rows of slab. Insert the sleeve to line the fire pit and fill the bottom with about 6” of ¾” crushed stone. 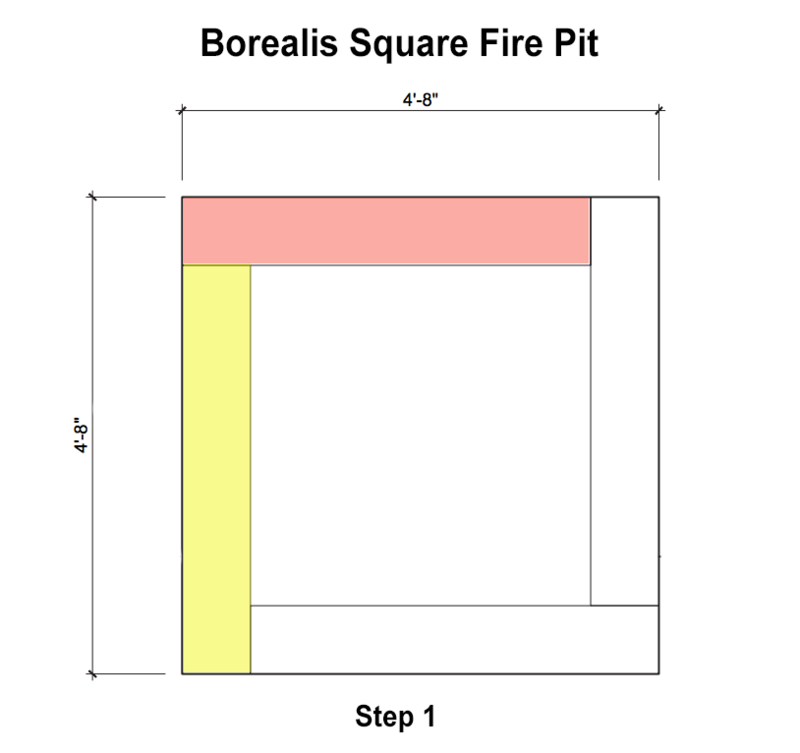 You can even make a rectangular Borealis Fire Pit using one pallet of Borealis wall block! 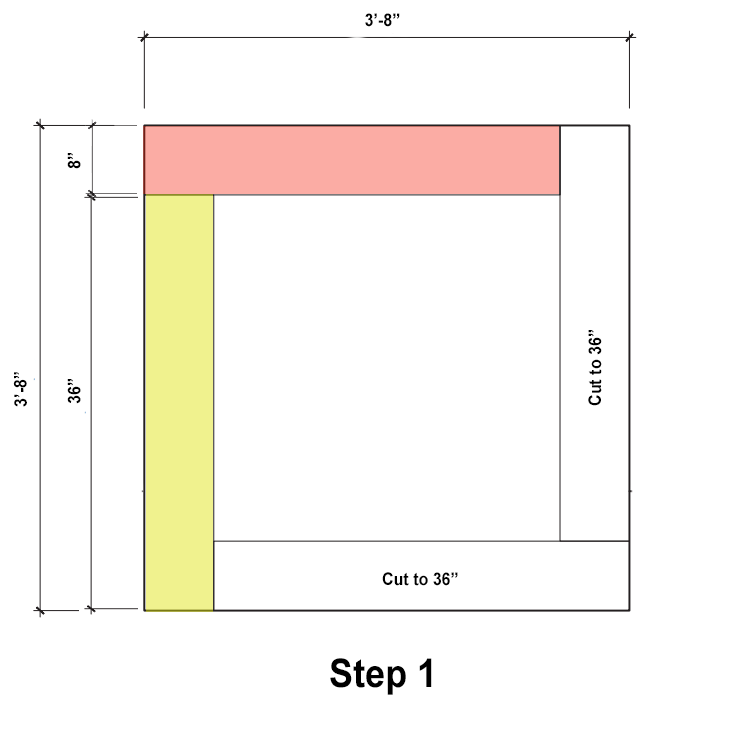 To make a rectangular fire pit you will need to make a couple of cuts to the block. Cut two pieces of 48” Borealis slabs into two 12” and two 36” pieces. 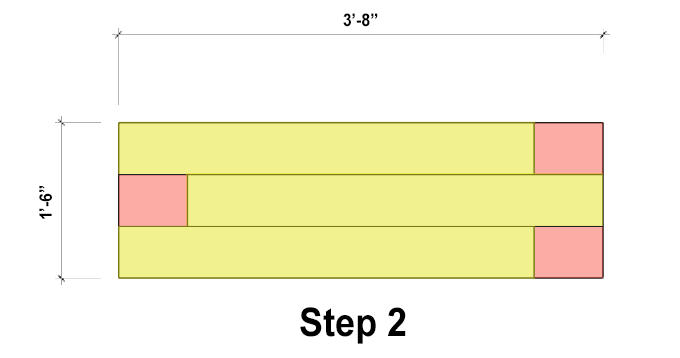 To start your course, place one full length 48” slab on the outer perimeter and then place a 12” piece next to it. Abut a 36” perpendicular to the 12” piece. Repeat the pattern on the opposite side to make a rectangle that measures 44” x 68”. For the second course repeat the pattern but stagger the slabs. Secure slabs together by using a concrete adhesive. Finish the third course by repeating the pattern as the first course, staggering the joints. Line the inside of the fire pit with refractory bricks. And fill the center with ¾” crushed stone. You don’t have to stop at fire pits, you can take this idea and transform these Borealis slabs into square or rectangular flower plants, water features, even a small outdoor coffee table if you place a custom stone cap on top. The possibilities are endless! 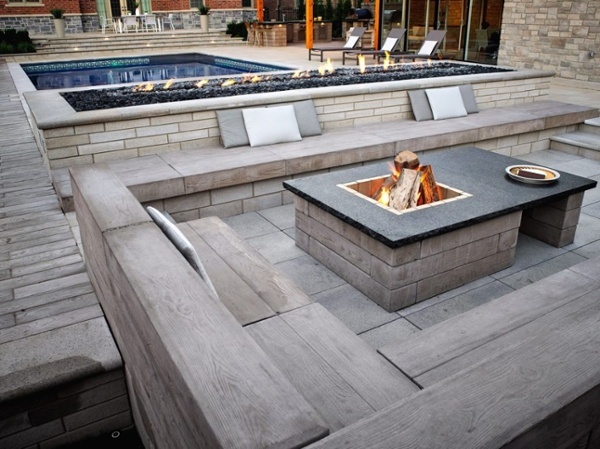 Get your pallet of Techo Bloc Borealis to make your very own fire pit at TLC Supply! We also have the fire brick, high heat mortar, crushed stone, and adhesive to complete your project. Please visit our website to see even more hardscape and masonry products ranging from bluestone,granite,brick,natural stone,block,sand, and cement!